The dramatic landscape and varied alien terrains of Iceland has to be witnessed at least once in a lifetime. 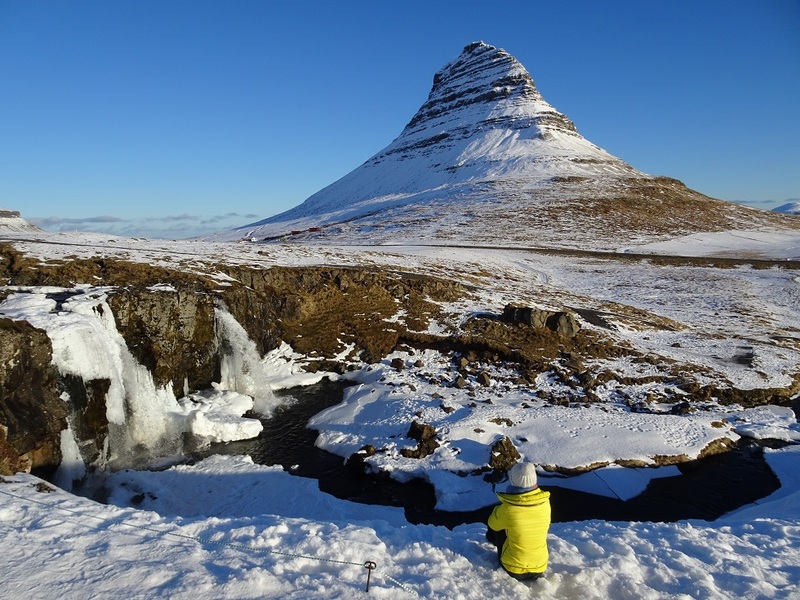 The rightly named land of ice and fire has some stunning glaciers, waterfalls, volcanos and hot springs. And no matter what time of the year it is, be ready to experience gushing wind, snow, rain and sunshine all in a day. 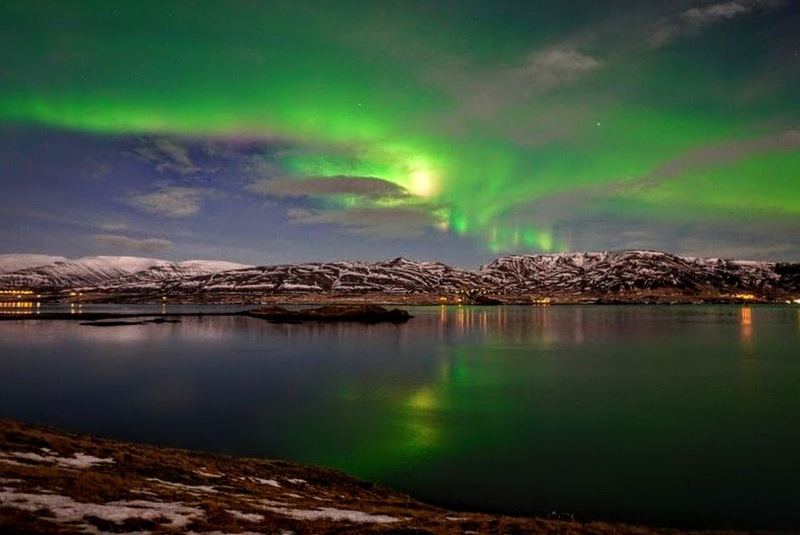 It’s a bonus to visit this country during winter, because then you get to see the northern lights too. • There are no forests in Iceland. • Beer remained illegal in Iceland until 1989. • There aren’t any McDonald’s in Iceland. 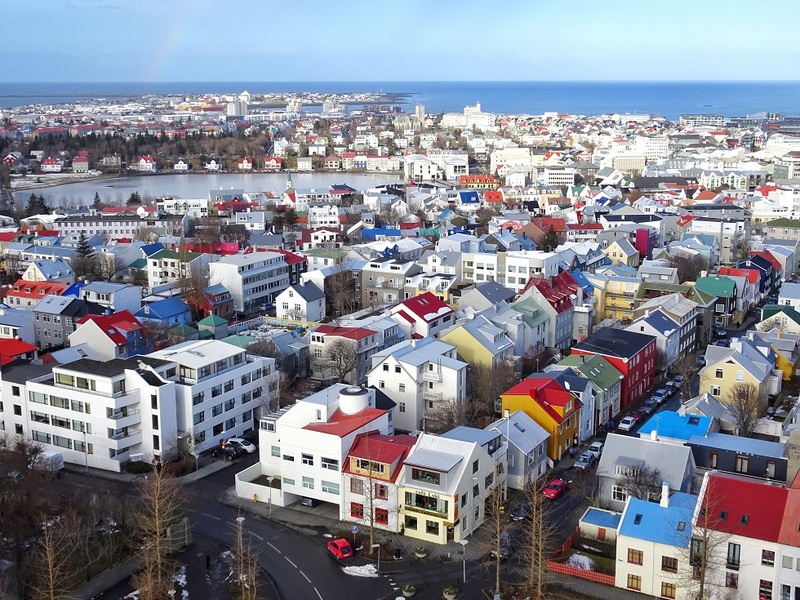 Reykjavik is the capital of Iceland and the international airport is located 45 minutes away from the city. Wow Air has frequent and affordable direct flights from both Europe and the USA. Taking a taxi is very expensive here, so renting a car is the cheapest and most convenient option to travel around the country. 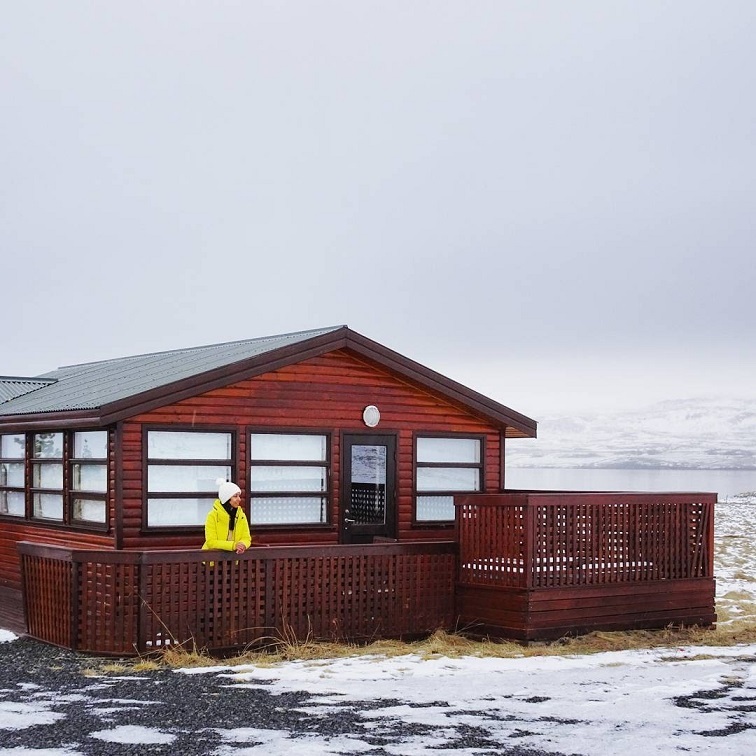 You can even hire camper vans, because it’s free to camp anywhere in Iceland. For the non-drivers, book a seat on FlyBus for transfer into the city from the airport. Then, book day/multi-day trips with several tour company options available online. The prices are very similar between most of the tour companies, so go by the reviews and availability. 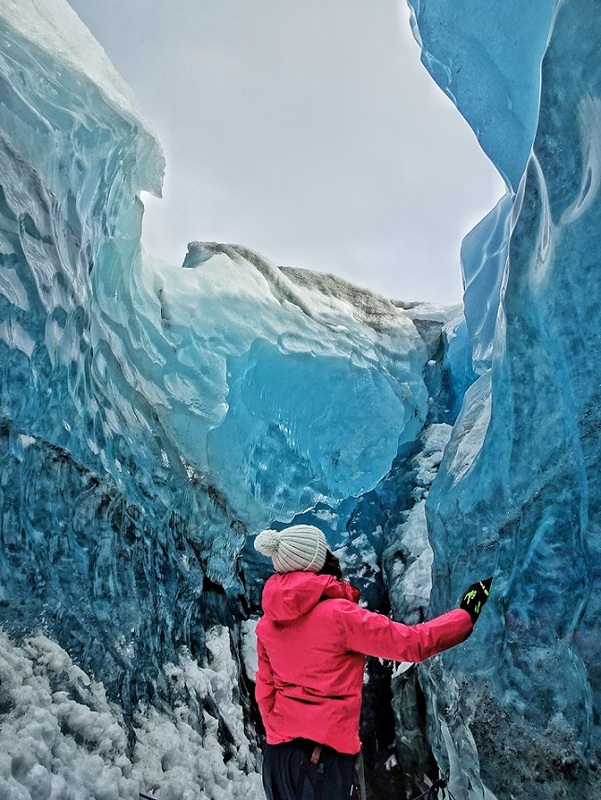 Some of the popular tour companies are: Glacier Guides, Arctic Adventures, and Extreme Iceland. Icelandic is the official language of Iceland. It is an Indo-European language, belonging to the sub-group of North Germanic languages. It is closely related to Norwegian and Faroese, although there are slight traces of Celtic influence in ancient Icelandic literature. But English is widely spoken in the country. The local currency of Iceland is Icelandic Krona (ISK). One USD is equal to 106 ISK. And almost every store, restaurant, and gas station accepts credit and debit cards, including contactless. 1. 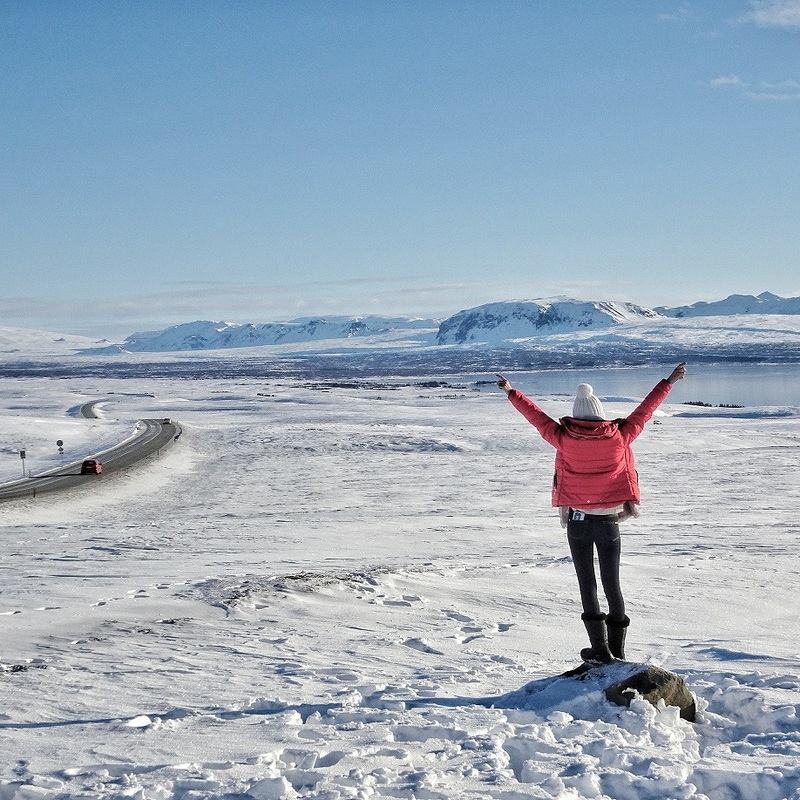 Road trip around the Golden Circle: One can spend an entire month exploring this country. But, if you don’t have the luxury of time, then a lot can be done over a weekend too. 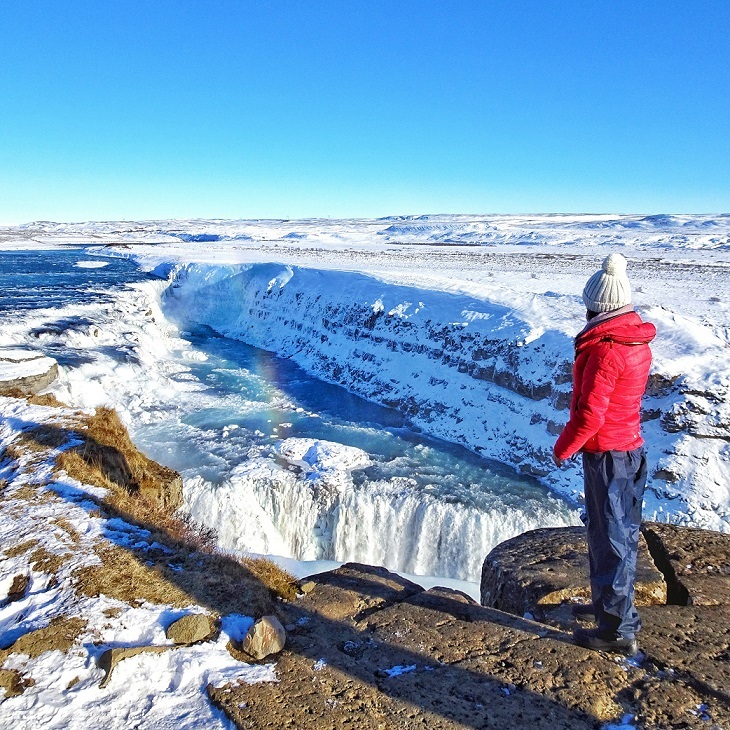 And the Golden Circle is on top of the list of things to do, and is easily doable in a day. 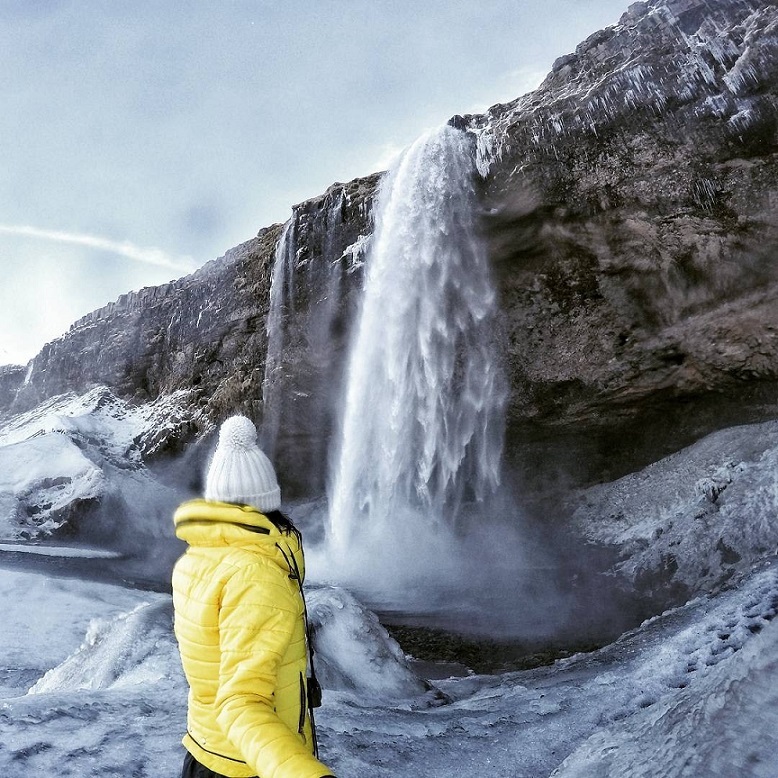 There are several guided day tours from Reykjavik, but it’s super cheap to rent a car and do it at your own pace. 2. 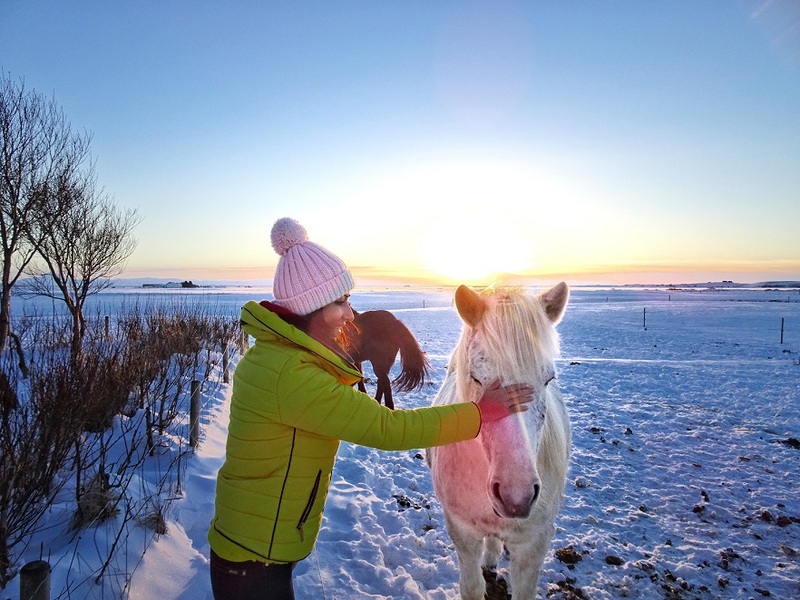 Take a selfie with the Icelandic horses: The Icelandic horses are the oldest breed of horses and definitely the prettiest. You will see them grazing around in several farms all along the way, and I would highly recommend to stop by and spend some quality time with them. You will immediately notice that they are super friendly and enjoy the human attention and touch. Can’t miss getting a picture or two with them! 3. 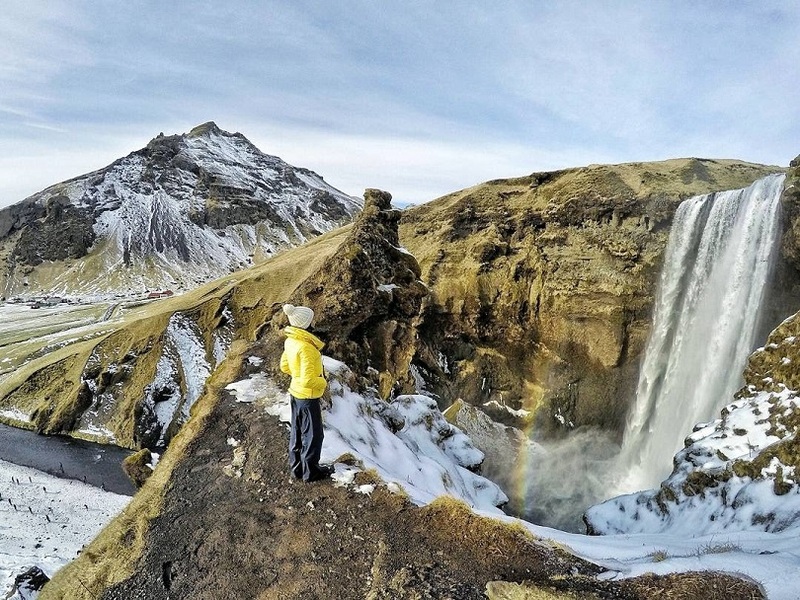 Chase waterfalls in the south of the island: The south of Iceland has some of the most adventurous waterfalls. 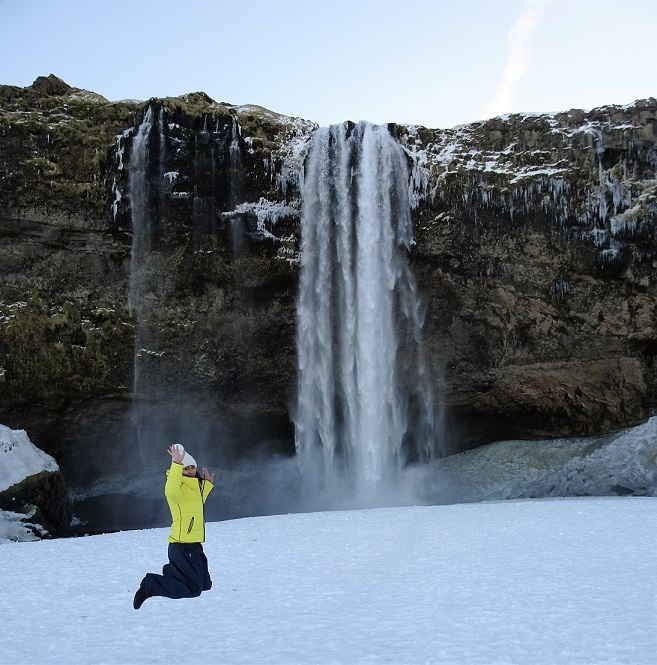 One of my favourites is the Seljalandsfoss. You can even walk behind the waterfall! 4. 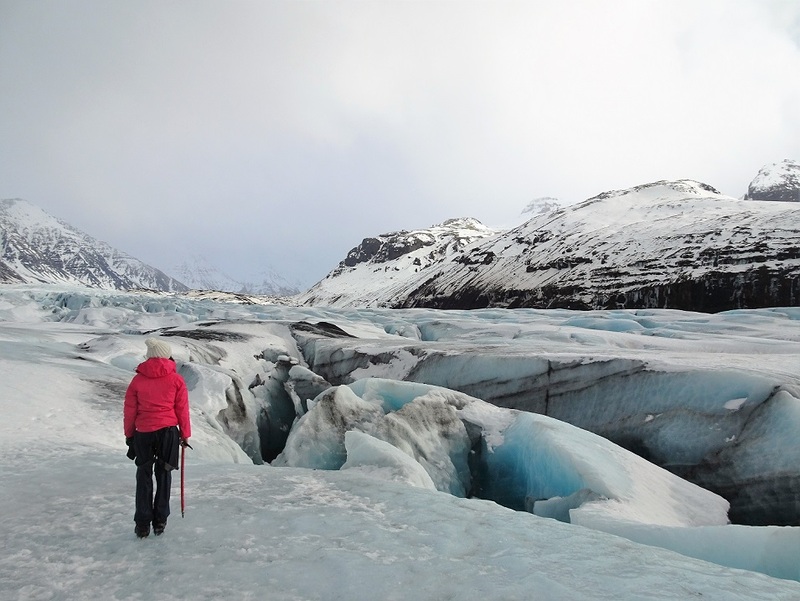 Walk on the glacier: If you are strict on time, then a day trip of south island includes visiting the Sólheimajökull glacier. But the biggest glacier in Iceland is the Vatnajokull glacier. And there are several tour companies providing glacier walking and ice climbing tours here. It is an amazing experience to walk on these stunning natural phenomenon and see it so up close. 5. 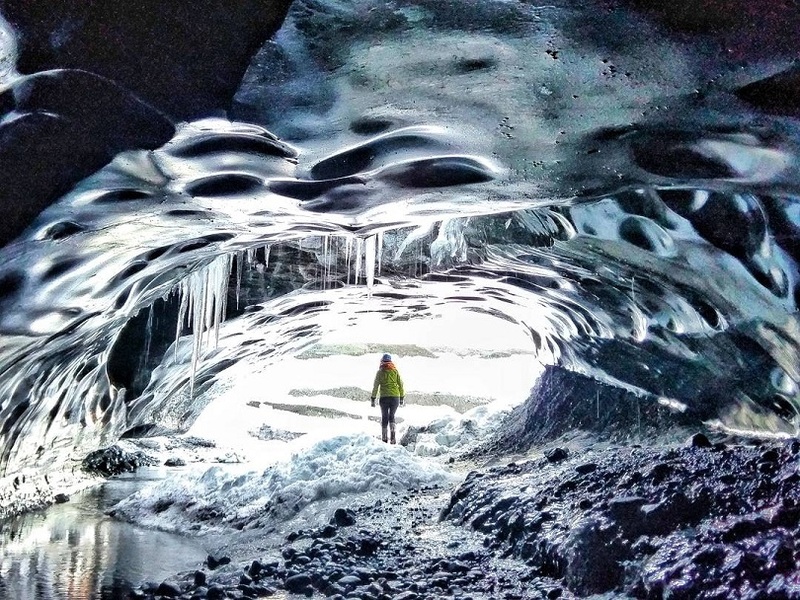 Enter an ice cave: If you are not feeling extra-terrestrial enough, spend an hour inside these incredible ice caves, naturally formed inside the glaciers. You have to take a guided tour to get to these caves on a huge 4 by 4 ice truck, and it’s totally worth it. This is by far the most mesmerising thing I have ever seen. The gigantic pieces of glacier as ice bergs floating on the black sand beach literally give the impression of diamonds all around. 7. 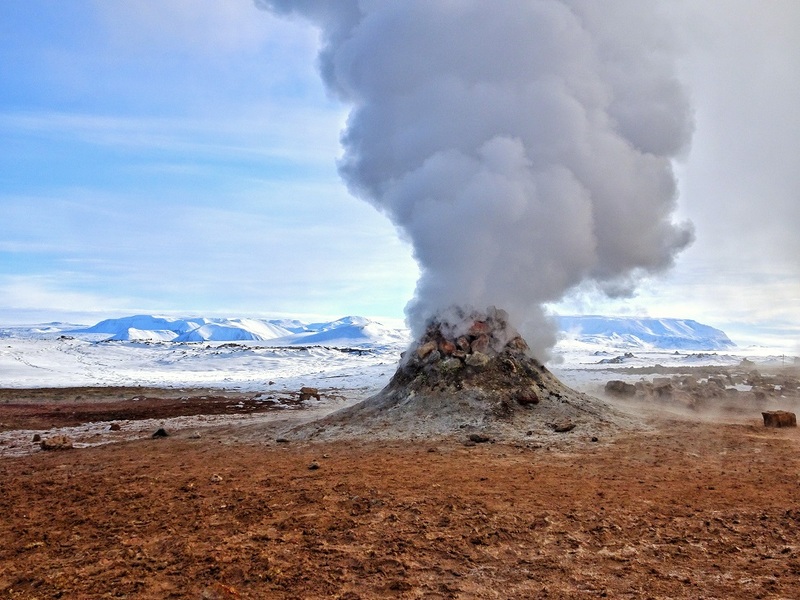 Smell the volcanos: Due to the geological location of Iceland, the high concentration of volcanoes in the area is an advantage for the generation of geothermal energy. This energy provides heating for 90% of the houses and makes of 30% of the country’s electricity. 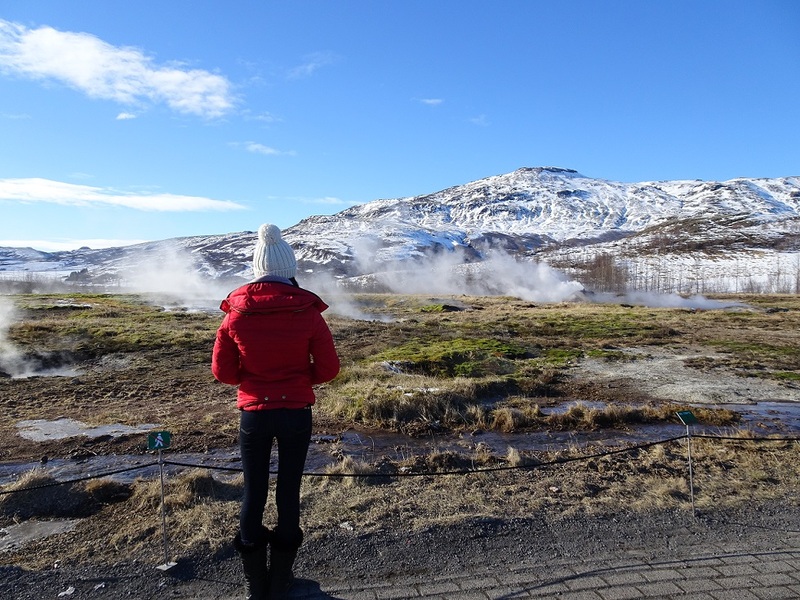 Most of such geothermal spots are open for tourist visit like the Hverir Geothermal area. I promise that beauty of this super alien terrain compensated for the foul smell and sticky muddy walking paths. 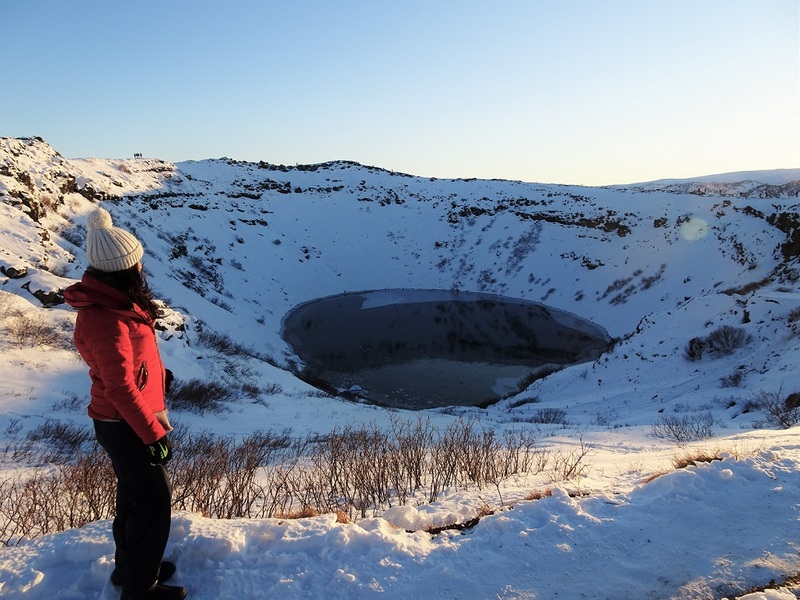 You can also visit some volcanic lakes and craters around it. 8. 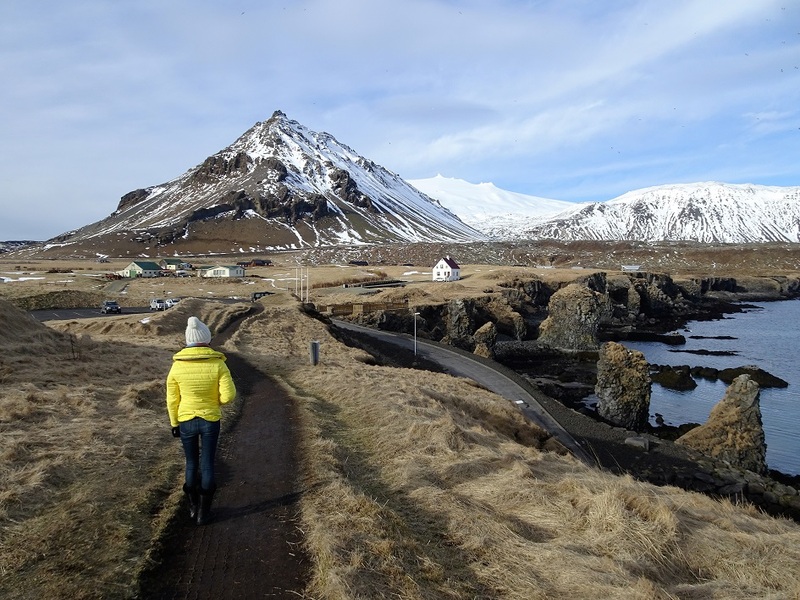 Visit the Snaefellsnes Peninsula: This is another easy day trip from Reykjavik. It has one of the most photographed waterfalls and also some interesting basaltic formations and landscape to awe about. 9. 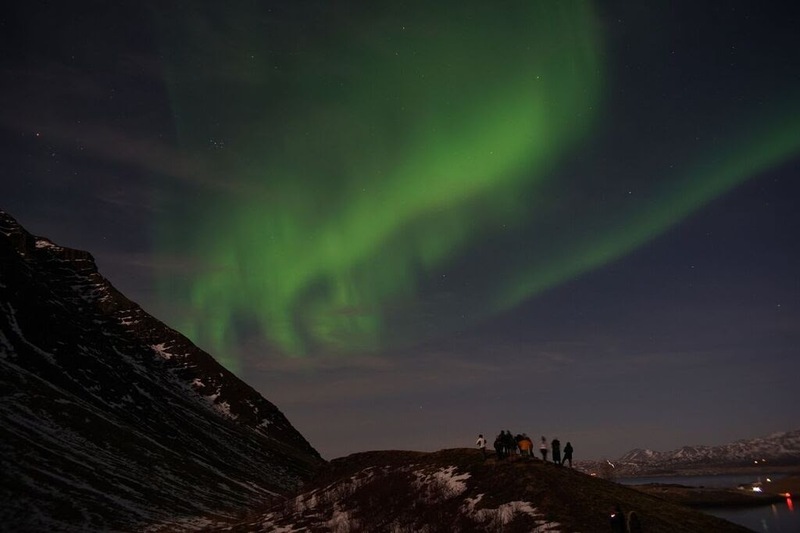 Check out the northern lights: The bonus of visiting Iceland during winter is that you can witness the magical northern lights. However, it’s not always easy to spot, and hence, people usually refer to ‘hunting’ the northern lights. There are several apps available online and the most basic one is checking the aurora forecast and cloud coverage, and then head to the place with higher intensity, clearer sky and less city lights. But, in case you don’t want to hunt, you can let the experts do that for you. Again there are many guided tours, which pick you from your hotel around 8 pm and drop you back around 1- 2 am, and make sure that you do see the lights. In case you don’t, most of these tour companies, take you on a tour the next day for free. 10. Climb to the top of Hallgrímskirkja in Reykjavik: Hallgrímskirkja is a Lutheran parish church that is among one of the highest structures in Iceland. For 800 ISK (approx. US$6) you can catch an elevator to the top of the church and see the best view in town. Enjoy the view of the typical Nordic colorful houses, blue water and mountains in the distance. 11. 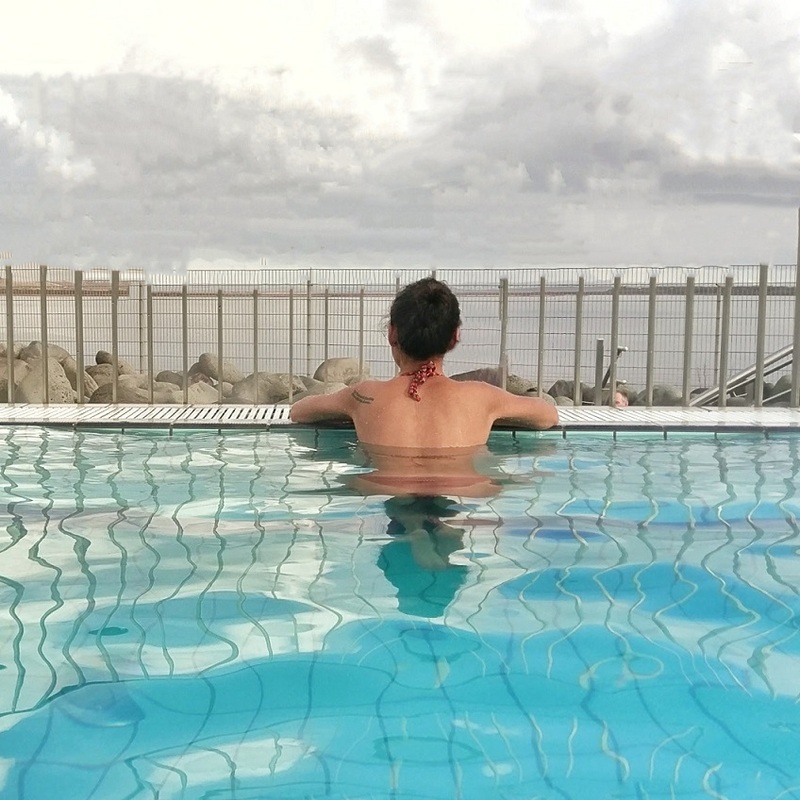 Relax in a thermal spring: One can’t leave Iceland without soaking in one of the many thermal spas. One should know that geothermal spring is the main source of water in Iceland, so having a shower in your hotel room is also a geothermal spring experience. 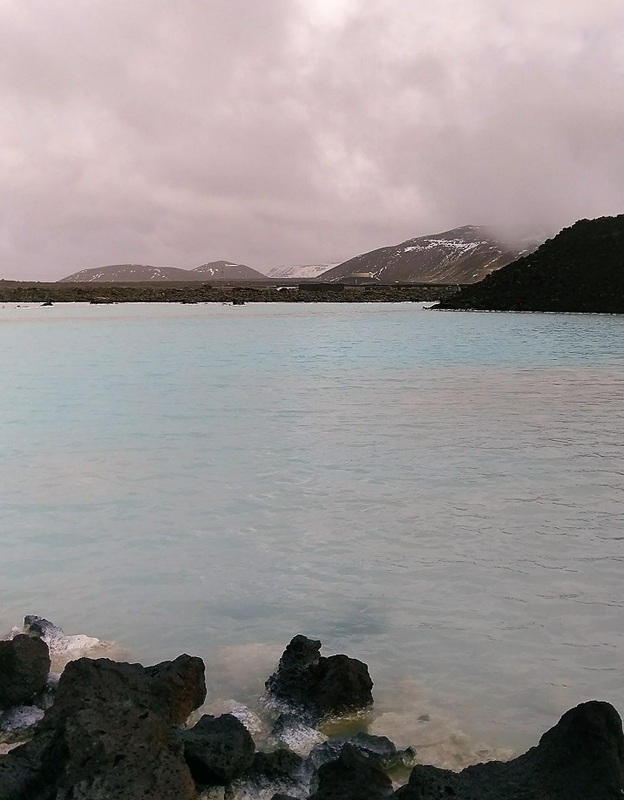 However, the Blue Lagoon is the most famous geothermal spa, and very close to the airport. So, it’s best to book it right after you land or before you fly out. accommodations with Jacuzzi. The second most visited spa is Laugarvatn Fontana (1.5 hour drive from Reykjavik); it is not as crowded as the Blue Lagoon and is right next to a geothermal lake and surrounded by mountains. If you are adventures enough, you can ‘hunt’ for secluded natural thermal springs too. 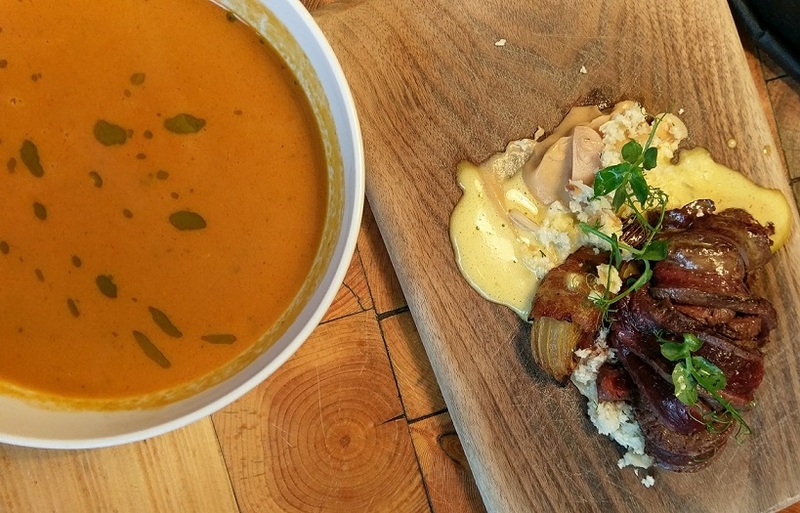 What to eat: The dining experience in Iceland is pretty expensive. So, if you are on a budget, then you may have to resort to the popular supermarkets Bonus and netto. But, if you are fine to splurge, then I have to say that Icelandic meal is delicious and very flavourful. 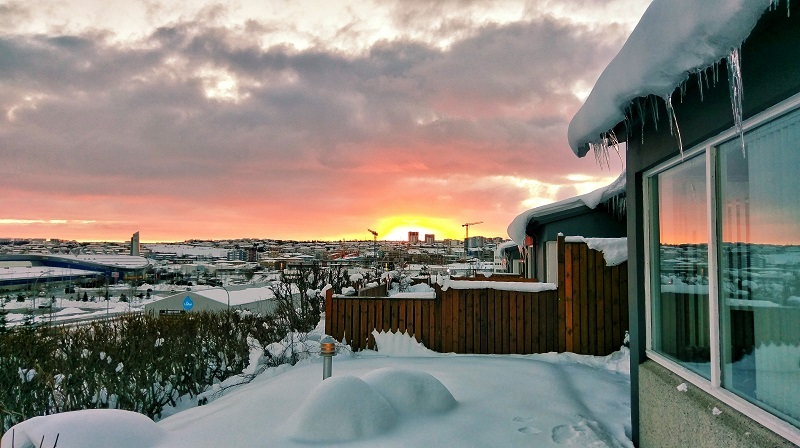 Given the population density, there are very few dining options in places other than big cities like Reykjavik and Akureyi. But when in Reykjavik, you can try out the Icelandic hot dogs, the most popular and hyped local food. Other dishes to try in restaurants serving local cuisines are, fermented shark, fish soup, the dark rye bread from hot spring and slow cooked lamb. Read this article for restaurant recommendations. I personally loved The Grill Market and Lava Restaurant in Blue Lagoon! Where to stay: I had the opportunity to stay in some amazing Airbnb apartments all over the country. One was an apartment with glass walls in an elevated locality in Reykjavik and provided stunning views of the entire city. Spent a night in an Icelandic farmhouse, spend a night in a cottage next to the mountains with my own personal Jacuzzi. So, go check out those pictures and reviews on Airbnb, you won’t be disappointed. Have you been to Iceland? 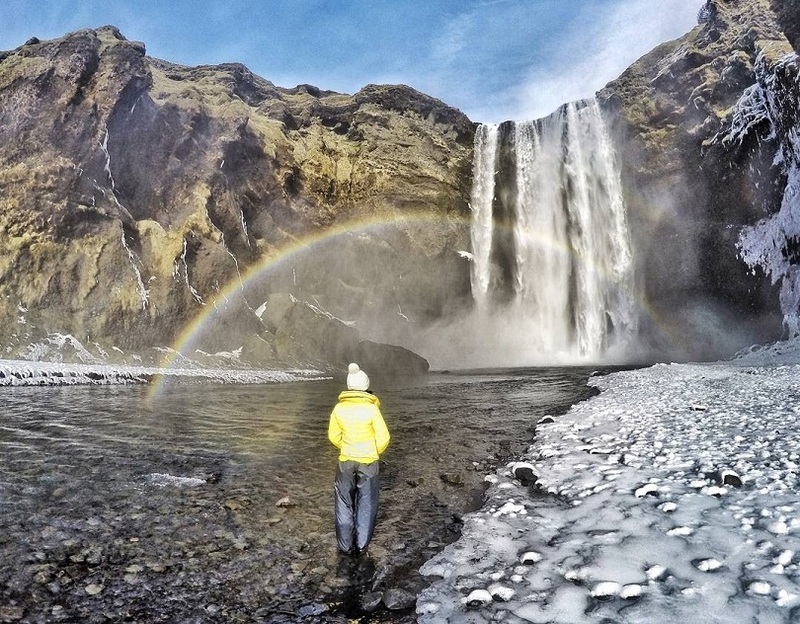 What’s your favorite thing you learned about Iceland? We traveled the Ring Road in June, and your Guide is definitely spot on and photographs are amazing. We had less snow and more sunlight. I hope to go back for Northern Lights at some point! I can’t wait to return to Iceland in the winter. 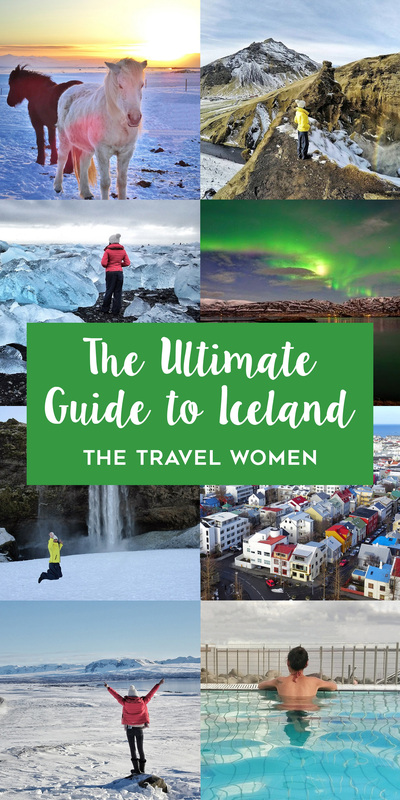 I had a 24-hour layover in Reykjavik last summer just enough time for the Blue Lagoon and a food tour, but I’m sure I’ll be back for a proper visit eventually! So much beauty! Think the horses are my favourite! 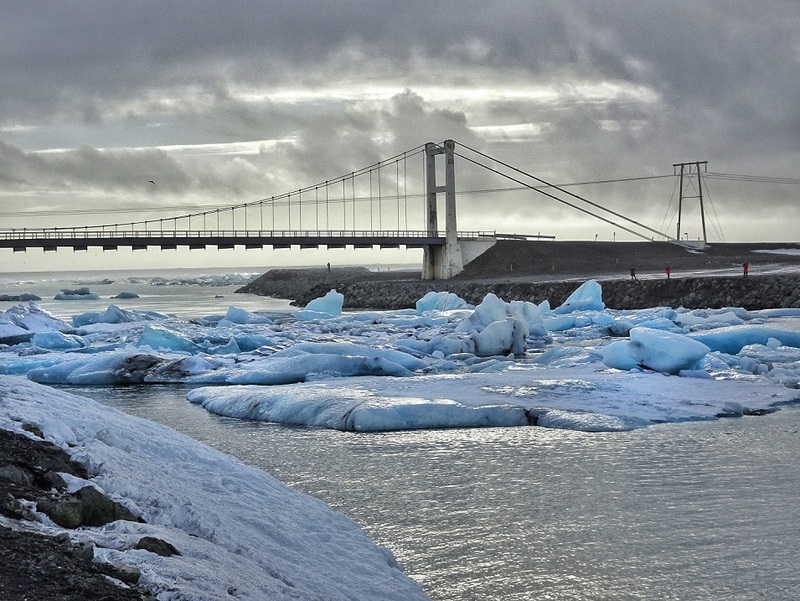 We went to Iceland a couple of years ago in the summer; I’d love to see it in the winter too. 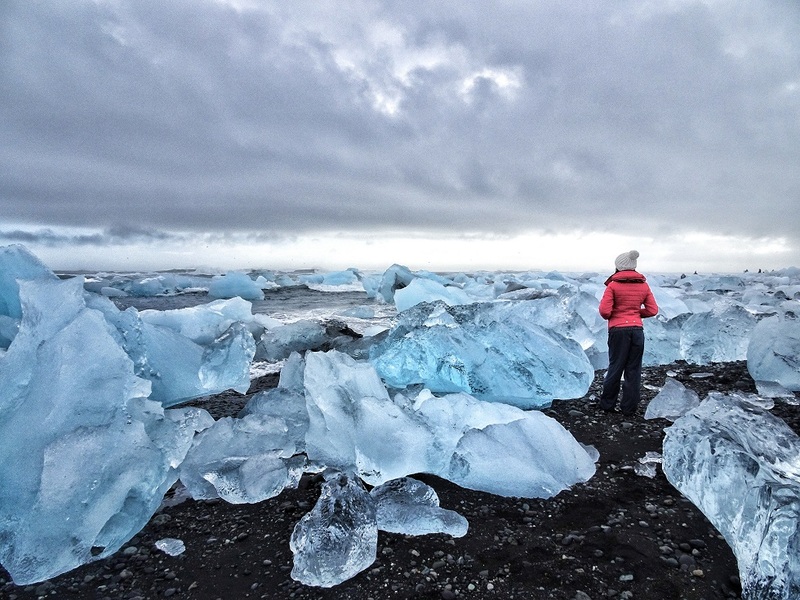 Your photographs are giving me serious wanderlust for visiting Iceland. And seriously, beer was illegal?? thats really something funny. Hope its not illegal now? 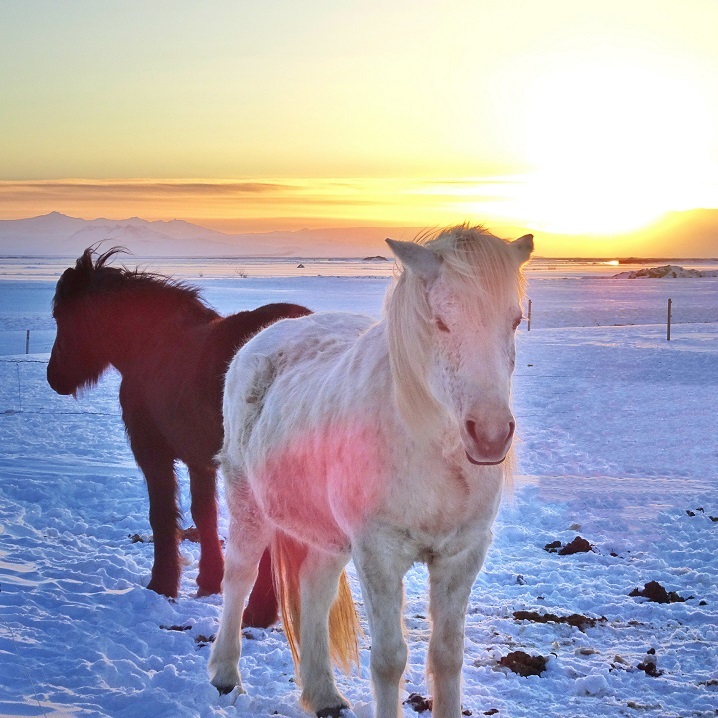 Iceland looks so magical, especially Reykavik! Those multi-colored roofs on the houses make it look like a fairytale land. The comfort food and snow also make it seem like the perfect place to, excuse my trendy word, get your “hygge” on. Very cool! Iceland is really so beautiful. Horses are my favorite. I went to Iceland with my family one year ago. I would love to see it in the winter too.